My Name is Danny K! 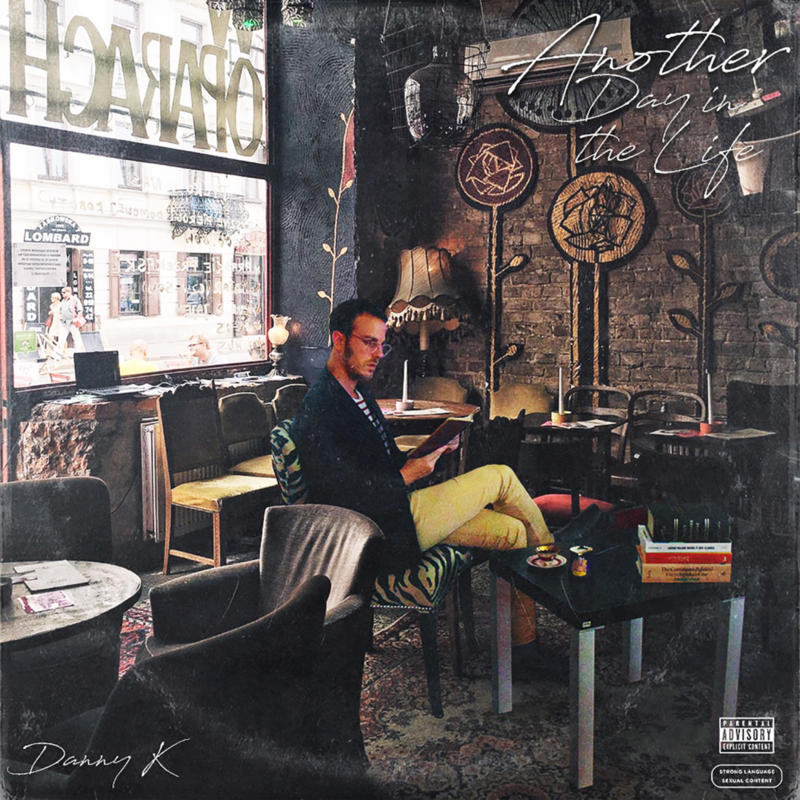 My name is Danny K. My new album coming soon. This is just the beginning. Artwork by my fam murder4art. Every ethnic boy’s most important person in his life is his mother. His father and the rest of his family too of course. But there is a special bond between mother and son. I knew I achieved my greatest goal when my mother looked at me and said, Danny, I am so proud of you, you have become a man now. You are my love. You are now the man of the house. Dear Papito, you are the most loyal father anyone could ask for. You, Jiddo Yervant, & Jiddo Rajaie (Allah Yerhamon) are my shining examples. Mom, my queen, you have blessed this boy with the most important words he could ever hear. I shed tears writing this. God keep you all by my side. And may I find a wife who has your qualities, beautiful both inside and out, who is there for me in my highs and my lows, and who reminds me of your unmatched spirit. God watches over us, as you said. He is always there for us. I am truly grateful. 2018 will be a year I will never forget. I went through the most extreme difficulties and challenges in my life. I was denied healthcare in the midst of a mental health crisis. I was betrayed by the closest of my friends and business partners whom I grew up with, and suffered from abusive relations. I was heavily addicted to marijuana as a result of a lack of medication access as well as manipulative people to whom I was vulnerable due to a lack of resources. Being a Syrian-Armenian “Dreamer” (DACA) is not exactly easy in this harsh environment America is reverting into. Financially I was broken. Physically, emotionally too. But somehow God lifted me up from the ashes. He blessed me with a family like no other, who stood by my side at every second. I quit marijuana and rehabilitated myself without an institution. I cut out all toxic individuals from my life. I lost 30 pounds and dwindled to 125 pounds, severely underweight. Now I stand tall, strong and healthy at 157 pounds, and growing. I released my debut album which was four years in the making. I became Danny K, or rather, Danny K was reborn. I graduated with an M.A. in Political Science in the face of institutionalized prejudice. My battle is not yet over, perhaps it never really is. But there is beauty in the struggle, and there will be ups and downs. But I stand firm, strong and resolute. I will win. With my family and God by my side. May this serve as inspiration to all of you struggling out there. Know you are not alone. Everything happens for a reason, though momentarily we may not understand. God has a plan for us all. Thank you to each and everyone of you who showed me compassion and love. You will hold a special place in my heart always and forever. Alhamdulillah 1000 times over. God is the greatest. I am truly blessed. A toast to a new year as it approaches. I am ready to conquer the world, to achieve my dreams as a musician, and to help lead this fragile earth towards justice and human dignity for all. God bless you all. Amen.